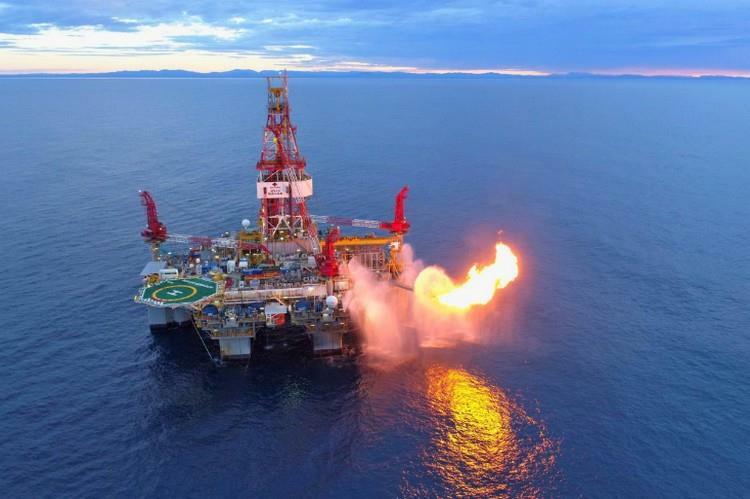 Cooper Energy has announced that Sole-3, the first of two production wells for the Sole Gas Project, is being shut-in for future connection after successful performance of clean-up and flow back operations. A summary of information relating to the requirements of ASX Listing Rule 5.30 is provided in Table 1 below. 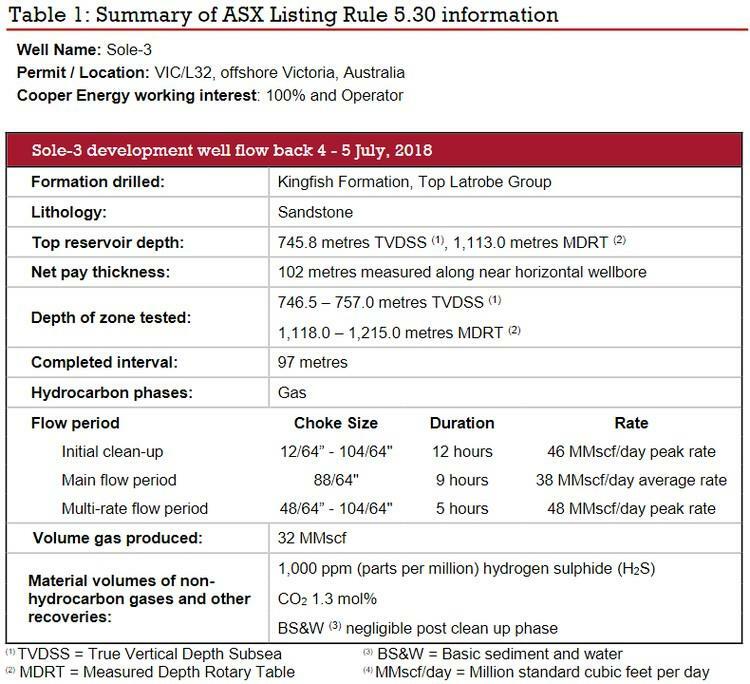 The clean-up and flow back test was conducted on the near-horizontal 97 metre completed section of the Top Latrobe Group sandstone reservoir over a 26-hour period. Analysis of the test data has confirmed that well performance and reservoir deliverability are consistent with pre-drill expectations. The flow rate was constrained by surface well test equipment to a maximum of approx. 48 MMscf/day, through a 104/64” choke. During a 9-hour flow period, through a 88/64” choke, the flow rate averaged approximately 38 MMscf/day. Post-test analysis of the measured data has confirmed Sole-3 capability to produce above the maximum plant throughput rate of 68 TJ/day under production conditions. The gas recovered is consistent with expectations and H2S concentrations are well within plant specifications. Sole-3 is currently being suspended prior to pipeline connection. 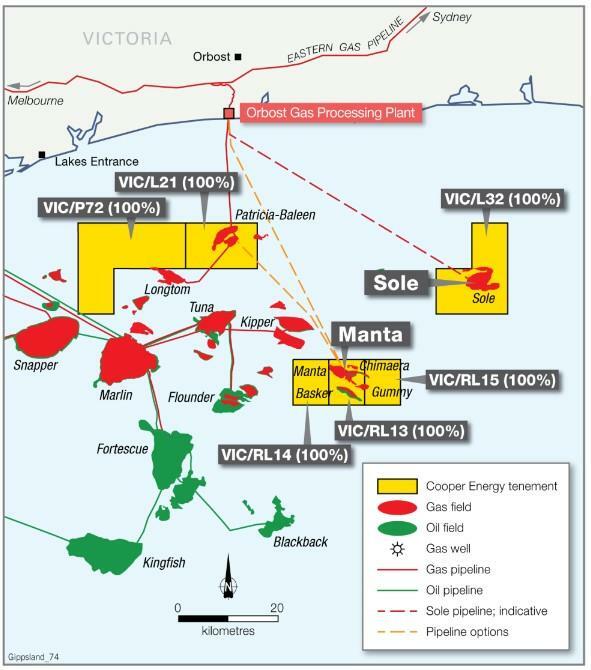 It is expected the pipelay operation to connect the Sole gas field with the Orbost Gas Processing Plant will commence in October 2018. 'We now have a well in place, ready to go, with production capability exceeding project requirements. Reservoir quality, production performance and the gas composition are all in line with pre-drill expectations' he said. 'We now move on to resuming Sole-4 and completing the project’s drilling requirement'.